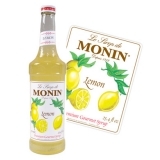 Monin Lime (Citron Vert in French) syrup in stylish 70cl glass bottle. 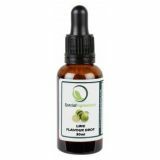 Limes are small citrus fruit which are usually green; they are a common culinary ingredient especially in Asia and Central America. They are similar to lemons but generally smaller and have a more nuanced aromatic smell. The fragrant acidity of the lime allows its juice and zest a variety of culinary uses: lime marmalade is wonderful spread on toast, and lime sorbet is a truly refreshing dessert. 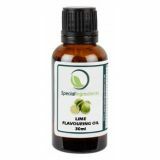 Many of the classic cocktails use the tart aromatic flavour of lime: Gin and Tonic, Caipirinha, Mojito, Margarita, Cuba Libre... The fresh and acidic taste of MONIN Lime will bring authentic lime flavour to all your beverages. Colour: Yellow with green glints. Taste: Strong nose of lime peel, sweet and acidic taste, a bit tart.